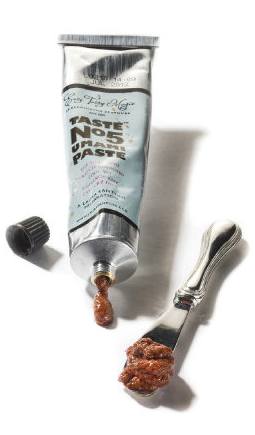 Has anyone tried this Umami Paste?? Apparently it is known as the fifth taste, after sweet, sour, salty and bitter, and gives dishes that extra flavour kick. In today's The West Australian paper, they mentioned Umami Paste has an intense flavour with a combination of porcini mushroom, parmesan cheese, anchovies, black olives and balsamic vinegar. I am going to get this Umami Paste soon! You can get it from The Grocer in Claremont or online at jonesthegrocer.com for $6.95. More info here if you wanna know more about it. this is so interesting! i've been reading a lot about umami and how they are very much intertwined with MSG. but also how to get umami from natural sources. and thanks for linking to my blog, so very sweet of you. hey bunny! haha should I call you bunny? hahaha... bunny is fine. no, i haven't tried it. would be quite interested to know what you thought of it though, like using it in a dish, and comparison between using and not using it.